I’ve been part of the Los Angeles music scene for many years. I started with the blues and eventually delved into other genres: bluegrass, country swing, and Django Reinhardt-inspired Gypsy jazz. 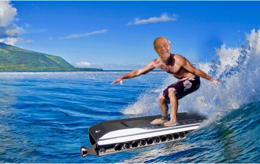 My musical journey began in the early ‘60s, when I was tutored on the diatonic harmonica by the legendary blues icon Sonny Terry. In the mid-1960s, I taught harmonica at the Ashgrove, a club that was the focal point of the Los Angeles folk music revival. Years later, I taught and performed at other venues in the Los Angeles area, such as McCabe’s Guitar Shop, Boulevard Music, the Coffee Gallery Backstage, and Viva Cantina. 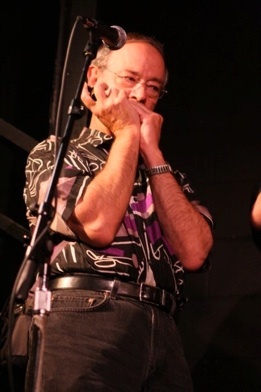 In the mid-’90s, I started focusing on the chromatic harmonica. I honed my skills by attending numerous music jams and gigs, armed only with a chromatic in the key of C. By playing in all keys, I became comfortable playing by ear and improvising in many styles of music. In 2005, I produced and played harmonica and guitar on my first CD, Harmonica and Guitar Duets, which covers diverse types of music, including blues, swing, Klezmer, ragtime, and country. 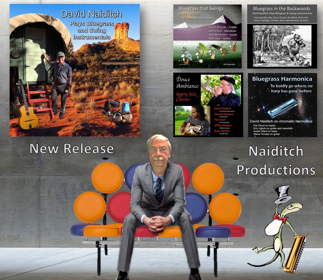 In 2008, I produced the CD, High Desert Bluegrass Sessions, with bluegrass greats, banjoist Pat Cloud, guitarist Eric Uglum, fiddler Christian Ward, and bassist Austin Ward. In 2010, I released Bluegrass Harmonica that features my harmonica, and includes virtuoso breaks by Pat Cloud, Eric Uglum, and guitarist Steve Trovato. In 2012, I released Douce Ambiance: Gypsy Jazz Classics, featuring my jazz harmonica with the fiery guitar lines of Gonzalo Bergara, and the jazz 5-string banjo playing of Pat Cloud. In 2014, I released the instrumental CD, Bluegrass in the Backwoods, featuring virtuosos Rob Ickes, Stuart Duncan, Ron Block, Dennis Caplinger, Sierra Hull, Christian Ward, Jake Workman, and others. I love jamming at music festivals, especially those featuring bluegrass, country swing, or Gypsy jazz.